All orders ship from our New Jersey Location. Orders placed before 3:00 PM eastern time will generally ship the same day, pending credit approval or credit card authorization. 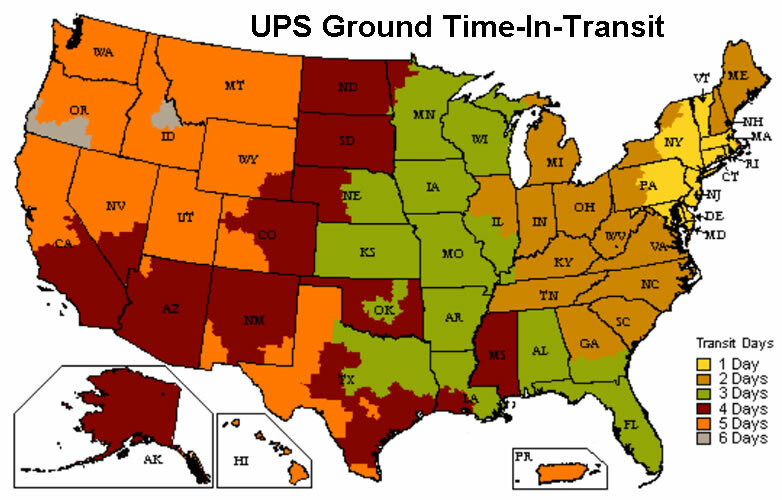 Details on the shipping methods are available at UPS.com. All orders are shipped pre-paid and insured. We do not offer freight collect shipping or shipping by any carrier other than UPS. Panda Apparel will not be responsible for any delay in the delivery of the shipment of goods, or for any damages suffered by reason of such delay. All shipments are F.O.B. from origin ship point. Shipping charges for late packages are non-refundable. Shipping charges are based upon weight and destination. A $3.99 handling charge is added for orders of less than 1 dozen pieces. A $1.99 handling charge is added for orders between 12 and 72 pieces. Our location is a warehouse and is not equipped for retail shopping.